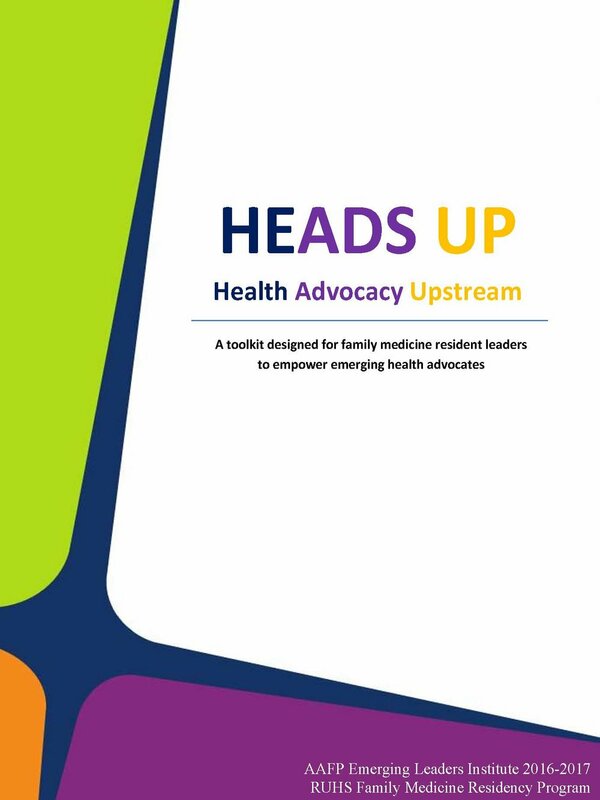 to engage students in health advocacy and leadership. Our program was developed with your students in mind. The Toolkit is comprehensive and flexible for your classroom. We are excited to share it with your students! Your students will develop their own advocacy projects, guided by our resident physicians, and start their journeys in primary care and public health! Have ideas on how to enhance our program? We would love to hear from you! Please reach out to let us know where we can improve and collaborate.